A former the United States Secret Service agent who stole hundreds of thousands of dollars worth of Bitcoins during an investigation into then-largest underground marketplace Silk Road has now pleaded guilty to money laundering. Shaun W. Bridges is one of two former US undercover agents who pleaded guilty in 2015 to one count of money laundering and one count of obstruction and was sentenced in December same year to almost six years in prison for stealing over $800,000 in Bitcoin while investigating Silk Road. 35-years-old Bridges, who had been a Special Agent with the U.S. Secret Service for almost 6 years, along with his partner stole money from Silk Road accounts and framed someone else for the laundering, which even led the Silk Road founder Ross Ulbricht to plan a murder. Ulbricht was convicted in February 2015 of running the Silk Road underground black market and is now serving life in prison sentence. According to the Department of Justice, Bridges is believed to have stolen additional funds from a digital wallet belonging the Secret Service on two different occasions months after he was initially charged. The missing Bitcoins were found by the Secret Service agency in December when Bridges was sentenced after admitting that he moved and stole approximately 1,600 Bitcoin (at the time valued nearly $359,005 and almost $6.6 million today). According to his guilty plea in this case, Bridges said it used a private key to access a digital wallet belonging to the Secret Service account, and subsequently transferred the bitcoins to "other digital wallets at other Bitcoin exchanges to which only he had access." "In the course of the investigation, U.S. agents were able to locate and seize approximately 600 of the stolen bitcoin and, as part of his plea, Bridges agreed to turn over the remaining stolen Bitcoin," the DoJ said in the statement. 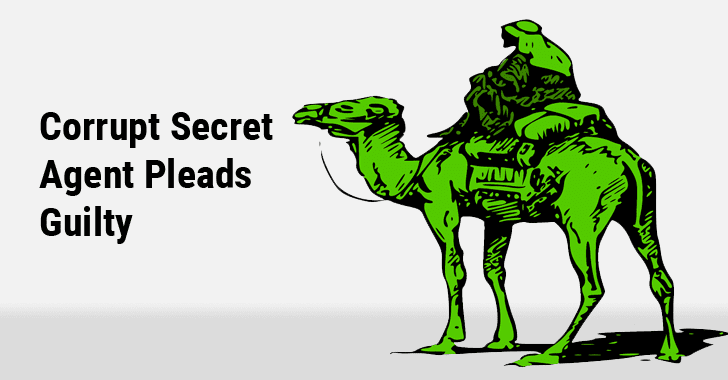 Silk Road was shut down in 2013 after the arrest of Ulbricht. The FBI seized bitcoins (worth about $33.6 million, at the time) from the site, which were later sold in a series of auctions by the United States Marshals Service (USMS). Before the shutdown, Silk Road was one of the most extensive, sophisticated, and widely-used illegal marketplaces on the internet. The other Bridges' partner is a 47-year-old former Drug Enforcement Agency (DEA) special agent Carl Mark Force, who is also facing criminal charges. On Tuesday, Bridges pleaded guilty to one count of money laundering before the United States District Court Judge of the Northern District of California. He will be sentenced on November 7, 2017.